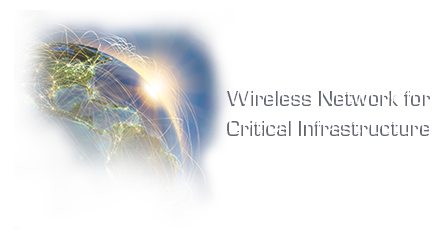 SUNNYVALE, Calif., Sept. 24, 2018 — Ondas Networks Inc., a leading supplier of private licensed wireless data networks for mission critical industrial markets, announced today that its Director of Technical Product Marketing & Industry Relations, Kathy Nelson, will be presenting at the European Utilities Technology Council (EUTC) Annual Conference 2018 in Malmö, Sweden. Ms. Nelson will be speaking at the session on 4G and IoT Applications – opportunities to fulfill utility requirements, which will take place on September 26 from 3:30-5:00pm CEST. This session will feature a number of industry experts who will share case studies and speak to the potential for IoT technologies to maintain utility functionality and requirements. Ms. Nelson’s presentation will highlight Ondas’ long-standing work within the U.S. electric utility market, providing private wireless networks that are reliable, available and secure, and how these networks can and are being used by other mission-critical industries worldwide. In addition, Ms. Nelson will share information on the IEEE 802.16s industrial network standard and the value it provides to Mission Critical IoT (MC-IoT) applications in Europe. The EUTC annual conference, which runs from September 25-28th, brings together industry professionals who are establishing the telecommunications role within the utility sector. It is one of the primary events in Europe dedicated to telecom issues in the utility sector. Key industry attendees include Ericsson, Nokia, and Siemens, among several other key names in the industry.